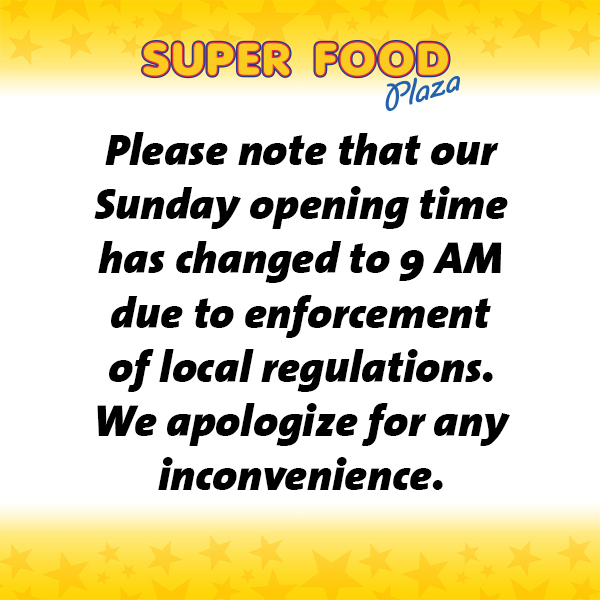 During the month of December 2016, Super Food Plaza is giving away more than 1600 prizes in its Green Scratch campaign. With every purchase of Afl. 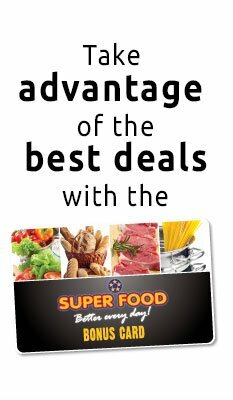 50 at Super Food, Bliss, Cheers, Casa, Intertoys or Jack’s Café Aruba, customers will receive a free scratch card to participate. Simply scratch off the three silver squares on the front of the card and look on the back side of the card if you have a winning combination. In order to win, the symbols must be in the exact same order as shown on the prize list. Prizes should be claimed at the customer service desk. This year’s prizes include solar power banks, 3 mountain bikes, 3 inverter air-conditioners and two solar water heaters. In addition to this, there are more than 1600 gift cards ranging in value from Afl. 25 to Afl. 1000. The theme of the prizes is “green” to pay more attention to our environment and to use more renewable energy. The deadline to claim Green Scratch prizes is January 31, 2017. 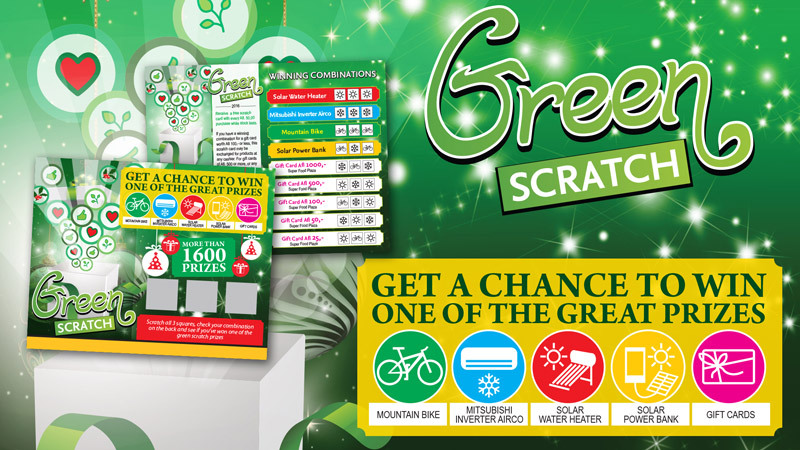 Please click on the Green Scratch banner on the homepage to read the terms and conditions related to this promotion.